(Host) Senator Bernie Sanders says Vermont would greatly benefit from a transportation bill that would bring hundreds of millions of dollars to the state. The $109 billion bill goes before the U.S. Senate this week. Sanders says the legislation is important, but given the repair needs of the nation’s roadways he characterizes it as a modest piece of legislation. (Sanders) "The American Society of Engineers has estimated that we need to spend $2.2 trillion to get our roads, bridges and transit to a quote-unquote passable condition. That’s eight times more than what this legislation is proposing, but given what is going on in Washington and the general deadlock, it is a significant step forward." (Host) And if passed, the bill will deliver $408 million for transportation enhancements in Vermont, and it would level fund the state’s transportation budget for two years. Secretary of Transportation Brian Searles says about one third of Vermont’s bridges are structurally deficient. And even before Tropical Storm Irene, a national report ranked the state’s rural roads as some of the worst in the country. Searles argues that Vermont is spending more for repairs by not investing in infrastructure. He’s hoping the bill receives widespread bi-partisan support. (Searles) "Transportation has never been a partisan subject. We need a bill and we need it soon." 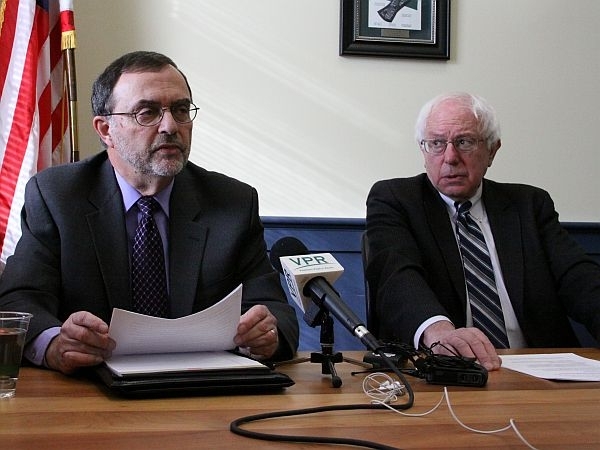 (Host) Searles says a similar transportation bill before the U.S. House of Representatives would cut $160 million from Vermont’s current level of federal spending over the next five years. Transportation Secretary Brian Searles says the historic covered bridge in Townshend has been patched several times over the years, and last week the Vermont Agency of Transportation decided to close it to all traffic. Amtrak Fixes In Mass. To Speed Trips To And From Vt.
Vermont transportation officials say planned repairs to a rail corridor in Massachusetts will be a boon to the Green Mountain State, because they will make trips on Amtrak’s Vermonter passenger trains faster.